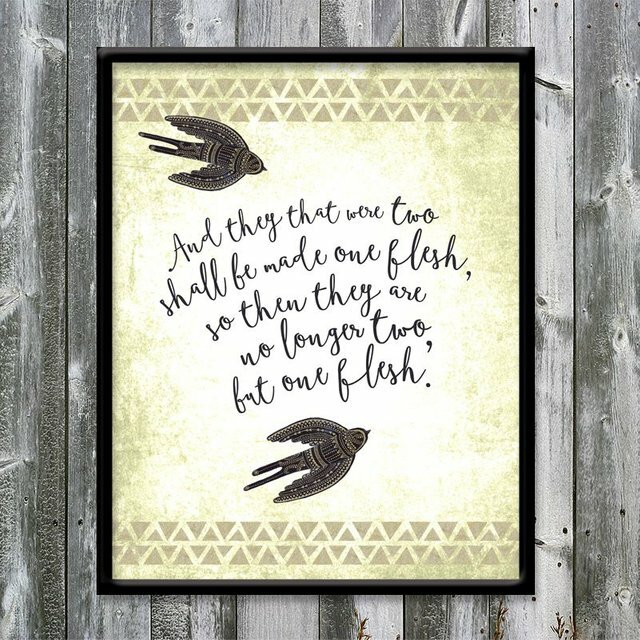 No longer two, but one flesh – Inspirational ORIGINAL ART #25 by @allforthegood PLUS FREE WALLPAPER! 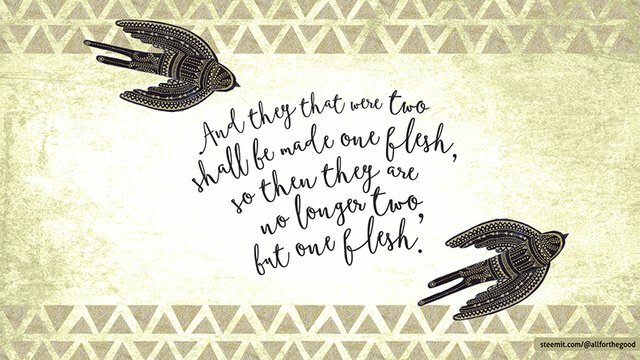 It's hard for a newly married couple to truly understand the mystery of this statement, but 15 years plus into my marriage journey, I think I grasp some of what is meant in this verse. It’s a thing of beauty to be loved by another as if you are their own body and vice versa. This was the way God intended it from the very beginning, as far back as Adam and Eve. Of course we live in a fallen and broken world, and there are times I don’t feel that absolute union and oneness. We have disagreements and failings and have need of forgiveness towards one another. Nevertheless, we are thinking of ourselves as one, and are working towards daily bringing life to that beautiful goal. 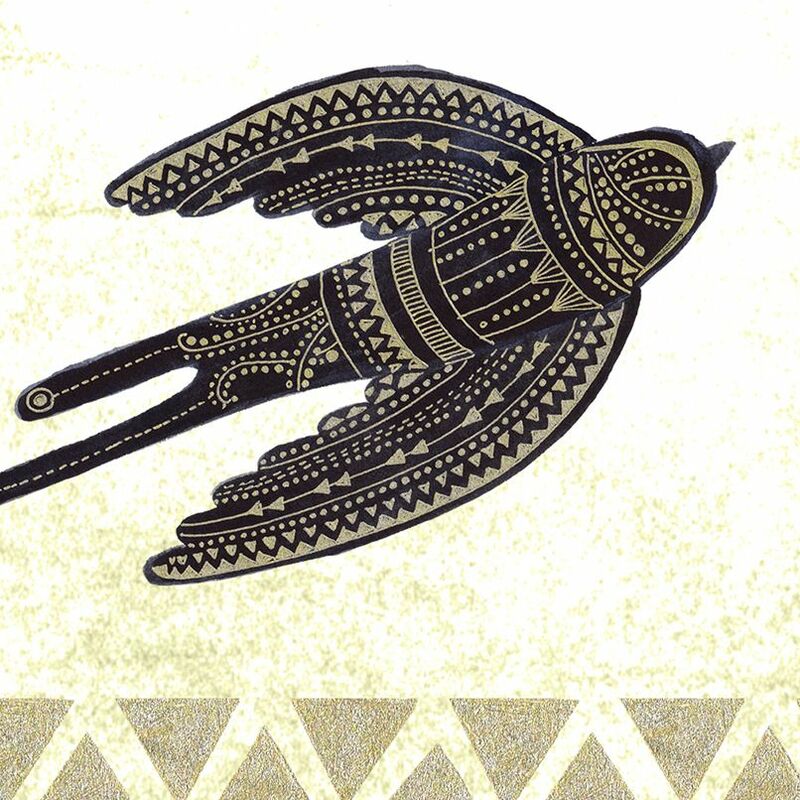 This design focuses on two separate birds, as symbols for freedom, adjusting their flight course to unity. The beautifully ornate creatures are only separated by the unifying words between them. Those words are displayed in a heartfelt, handwritten font. The top and bottom border and backdrop serve to add depth to the design and finish off the piece. A special thanks to @negativer for the idea to include free desktop wallpaper in my posts. My laptop screen is something I face every day and is a great place to include some timely encouragement. Hope you enjoy. Click here for the high-res version. Do you like posting encouraging quotes and verses in your home? If you have a favorite quote or verse, I’d be happy to design it for you. Just post it in the replies below. To see more of my inspirational art, click here. But, which bird am I? The one on top looking down, or the one on the bottom looking up? Are there subliminal messages that you are trying to convey to me through passive aggressive art? Or is it just a really cool design that represents our supergalaticominpresesentoneness? Love it! I like this one. The birds look like little aztec spaceships. The mellow paper and mild triangles as a background would not be distracting at all. Nice work! That's a good design. Do you plan to sell/distribute copies to married couple, or engaged? Yes, that's what I was thinking. I have it on my Etsy shop as a potential gift for an engaged couple or a wedding present.